In the run up to the millenium Forest Heath sponsered a local history project aimed at developing websites and producing a book for the historic event. As a result of the number of villages who wanted to take part this became known as the 22 Villages project. Since then technology has moved on an many of the villages will have there own websites like this one. 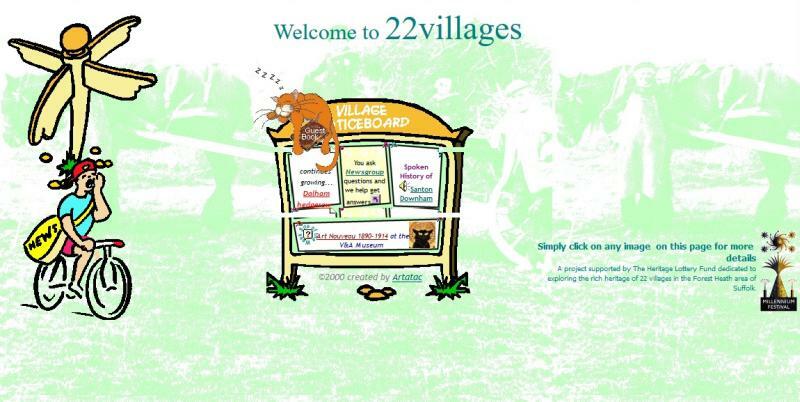 This link will take you into the original 22 Villages website as it was archived. Although the navigation does work it can be difficult to find/understand/use. As a result I have included links to the individual village sections. It is published a is – some sections will work others may not.